The trial for two men charged with murder is scheduled to begin Monday morning in Delaware County Common Pleas Court. 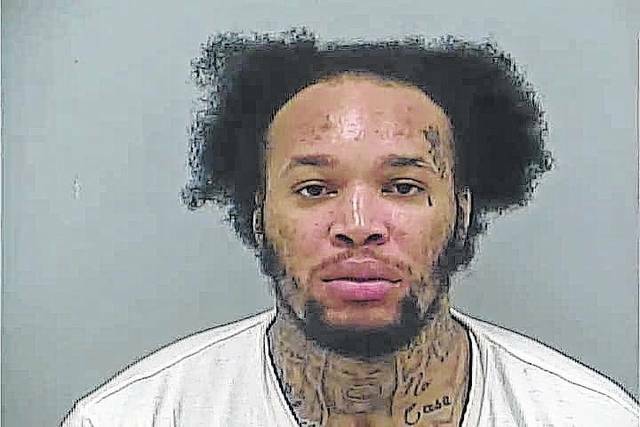 Reginald Timothy Conley, 27, of Lucasville, Ohio, and Jermaine Darnell Kelly, 31, of Columbus, face charges including murder for allegedly shooting a man in 2012. Prosecutors allege that on Nov. 9, 2012 Conley and Kelly drove a third man, Dontee Gervins, 29, of Columbus, to Harlem Township and shot him in the abdomen. Gervins made it to a nearby home near Red Bank Road and asked residents for help. He was transferred to Riverside Methodist Hospital, where he died nine days later, prosecutors said. First Assistant County Prosecutor Kyle Rohrer said at the arraignments that Conley and Kelly are members of the Crips gang based in Columbus and that Gervins was a witness in an ongoing robbery-homicide investigation involving other members of Conley and Kelly’s gang. Rohrer said that after Gervins was shot, Kelly made a phone call to one of the suspects in the robbery-homicide case and made incriminating statements regarding Gervins. Conley and Kelly were indicted by a Delaware County grand jury on July 22, 2016 and were in the Delaware County Jail Sunday. Conley is charged with two counts of murder; one charge of intimidation of witness in a criminal case, a third-degree felony; and one charge of having weapons while under disability, also a third-degree felony. Kelly is charged with two counts of murder; one charge of intimidation of witness in a criminal case, a third-degree felony; and two counts of having weapons while under disability, also third-degree felonies. Both murder charges carry firearm specifications and gang specifications, both of which could add years to any potential prison term. Krueger told the defendants that the murder charges carry between 15 years and life in prison. Rohrer explained after the hearing that the law allows murder to be charged two different ways — either as causing someone’s death or as causing someone’s death while committing another felony. In this case, Rohrer said the murder was committed while Conley and Kelly were also intimidating a witness, Gervins. Rohrer said Conley is in prison on an unrelated burglary conviction and is projected to be released in March 2017. Jury selection will begin Monday morning.